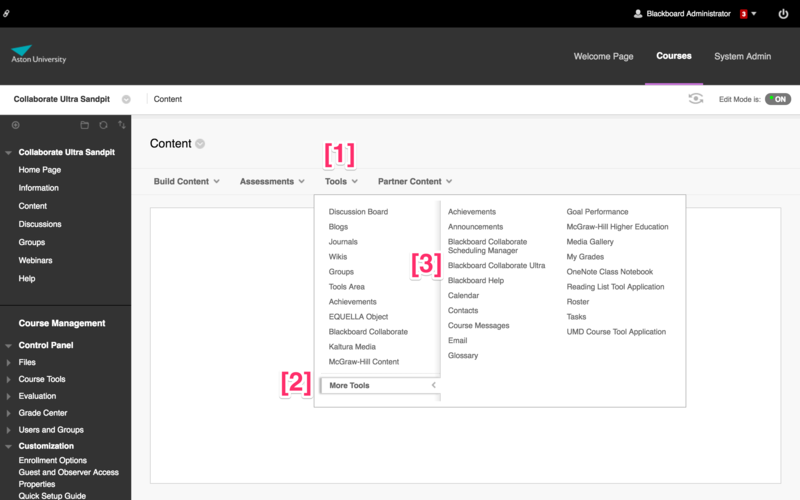 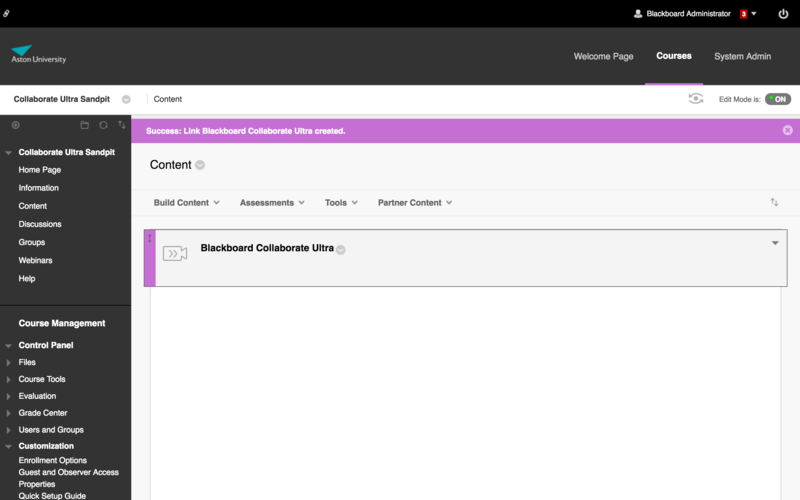 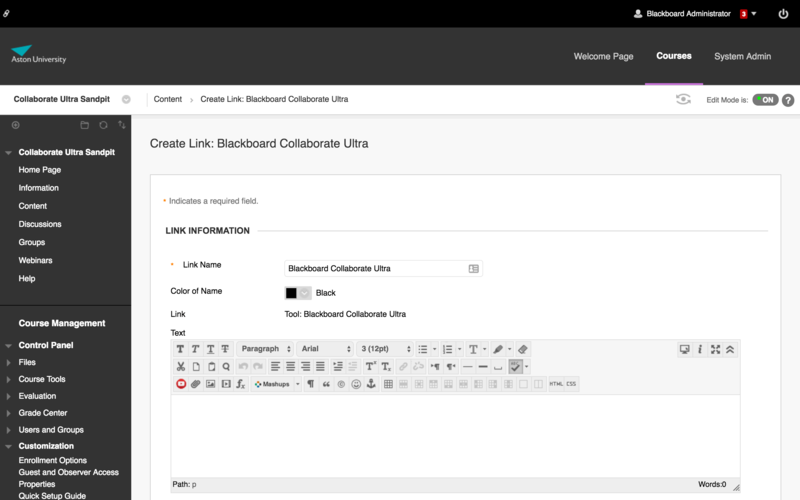 From the action bar, click Tools, More Tools, Blackboard Collaborate Ultra. 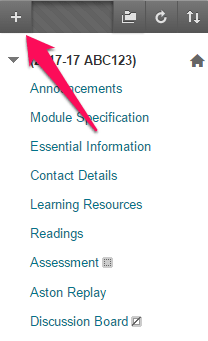 Enter a name, description, set the availability of the link, and click Submit. 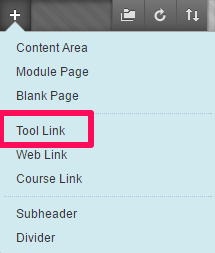 The link will be added to the content area.